Description: You are buying a new, durable Browning X-Bolt Stainless Stalker in 25-06 Rem with a 24" barrel. 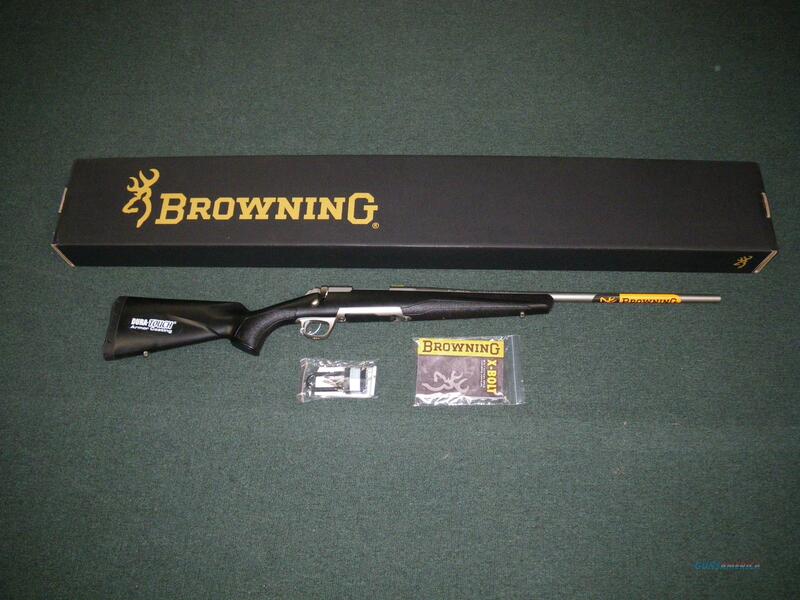 This firearm comes with a synthetic stock and is coated with Browning's Dura-Touch armor coating. The receiver and action have a matte stainless steel finish for years of worry-free use. Displayed images are stock photos. Any questions please feel free to ask (our phone number is in the additional information tab above).